Abstract: Material will be presented on developing a display agnostic streaming media standard for transmission of 3D Frames to Field of Light/Light Field Displays. The frame should be usable/renderable on any type of 2D or 3D display that is compliant with the standard. Bio: Dr. Thomas has been working with holography, lasers and electro-optics design for more than 30 years (since 1972). Dr. Thomas holds a PhD in Plasma Physics (holography thesis) from Massachusetts Institute of Technology (MIT), Cambridge, MA, 1980, and is the inventor of the Holographic Angular Slice 3D Display (HAS3D). Research since 2003 includes development of the HAS3D and research on digital holography as a fast, high-resolution fusion-plasma electron density and plasma facing component erosion diagnostic. 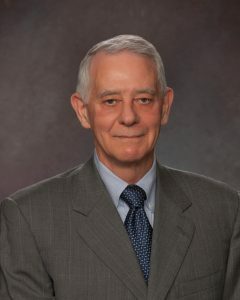 Prior to TDT, Dr. Thomas was a co-founder of nLine Corporation where he developed holographic image acquisition technology that allows extremely accurate measurement of semiconductor features to one percent of the laser wavelength used for measurement. More recently, Dr. Thomas has been working with the Air Force Research Lab, Oak Ridge National Laboratory, and Insight Media on the development of a streaming standard for field of light displays (SMFoLD).